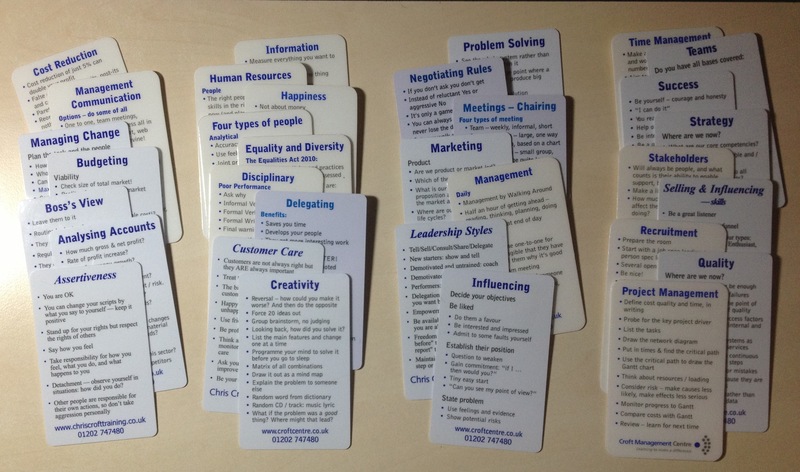 Printed in two colours, double sided, on white plastic, these cards will last for years and are a great introduction to a subject, or reminder after a course. You can buy them individually or get the whole set here. You can see from the photo that they vary slightly in colour and font because they have been collected over years of different print batches – some are collectors items now! But I still have the full set, and if you order it I guarantee you’ll find it awesome – when you open the envelope and see how many and how much information is on them. Your brain doesn’t know what’s best for your happiness – it’s often wrong!